Silicon Valley is full of hyperbole. It’s the world of “disruptive” apps and “game changing” services. Most are neither and when someone takes the stage and informs the audience that they will see something that’s actually awesome, it should be expected that skepticism is the first reaction. But unlike the average startup hoping to get acquired by the giants of the valley, the ATAP team actual delivered. All ATAP projects last for two years. It’s a quick-moving system designed to accomplish in months what usually takes years. 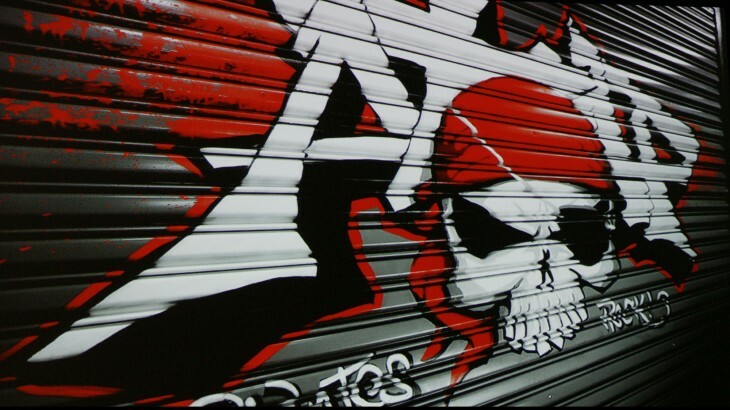 Only two years old itself, ATAP has born 11 projects including VivaLnk, a digital tattoo that lasts for five days. The tattoo creates a wearable authenticator to unlock a phone. Of course, it can be expanded beyond your phone in the future to doors, computers and other items that require non-transferable security for a short term. 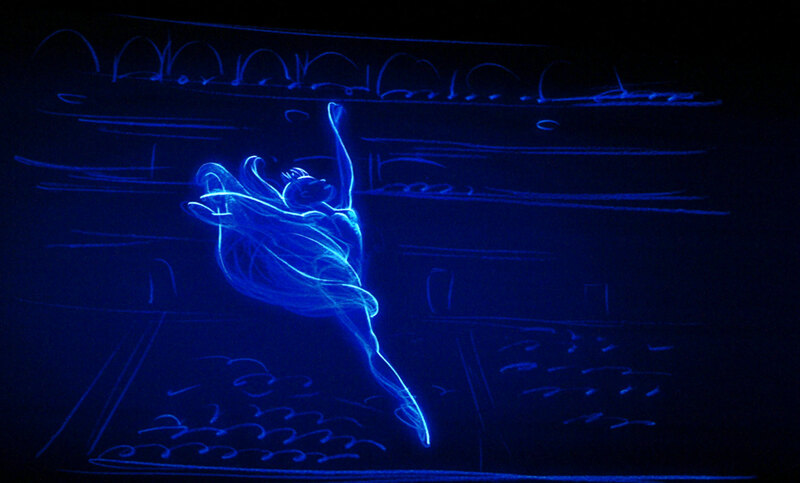 But today belonged to three projects; Tango, Project Ara and Spotlight Stories. 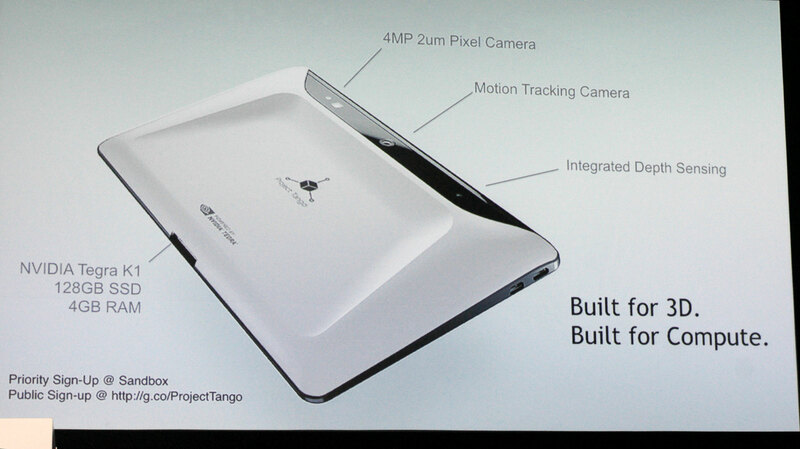 Project Lead Johnny Lee announced that the first consumer Project Tango tablet will be coming next year in a partnership with LG. The consumer tablet will be able to do a real-time estimation of 3D space. It does this with the motion sensing and multiple cameras without the aid of GPS, Bluetooth or Wi-FI. Two cameras (one traditional and the other fish-eyed) recreate a human’s peripheral vision while a Depth Sensor sees shapes instead of colors. The entire package currently has an error and drift rate while mapping of one percent. Onstage he demoed the tablet re-creating the stage in real time. 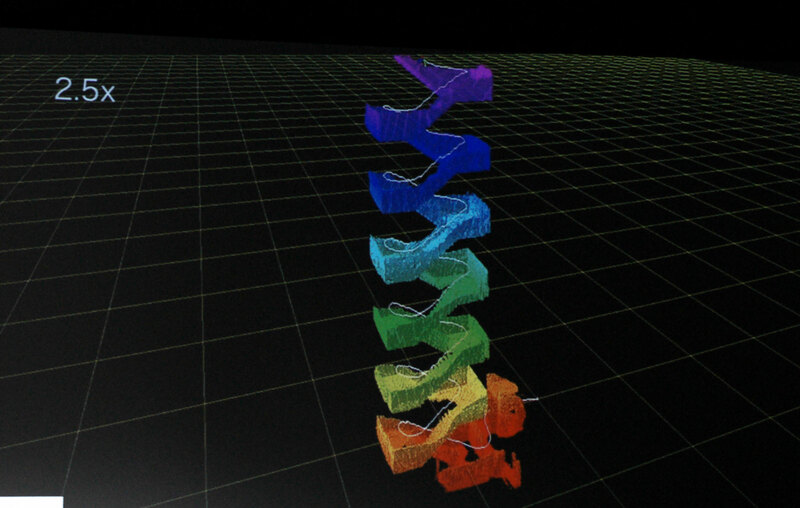 A demo video showed the team recreating a stair case including an accurate representation of the developer ascending the descending the staircase. It did this entirely without GPS, which is what Tango was made to do. Recreate a 3D facsimile of an indoor where GPs can’t penetrate. It’s one of the reasons it’s being deployed on the International Space Station. To help robots navigate an indoor area without the help of GPS. It was all very impressive, but still not good enough for the team. “We have a tremendous amount of new work to do,” said Lee. But like all ATAP projects, they are moving quickly. 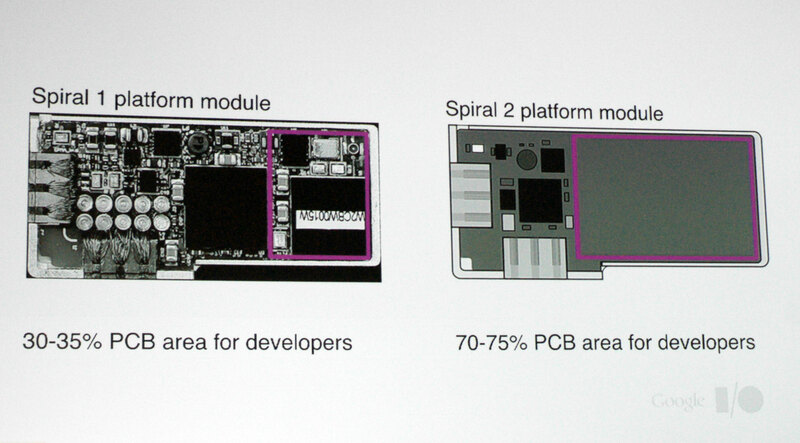 The developer unit he previewed onstage was the fourth version of the device and would act as a developer kit. Developers can sign up to be notified when the dev kit goes on sale later this year. For the rest of us, we’ll just have to wait until next year to digitally map our homes. 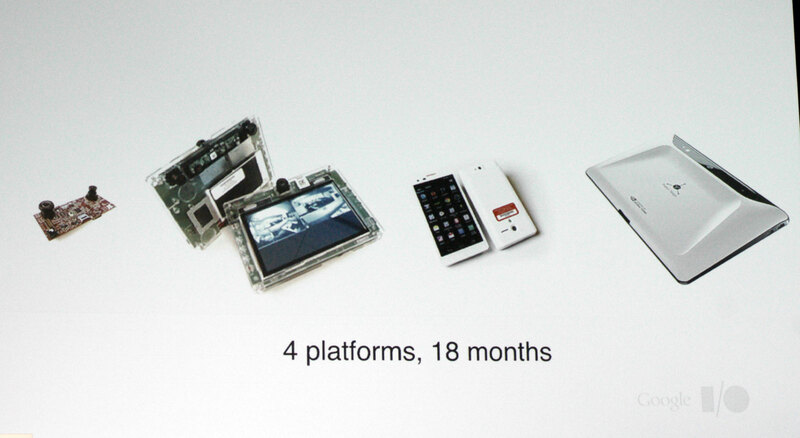 The modular Project Ara phone has the potential to upend the current smartphone ecosystem. Instead of purchasing a new phone every year, you could upgrade o modules you want (camera, display, etc) without having to buy an entirely new device. 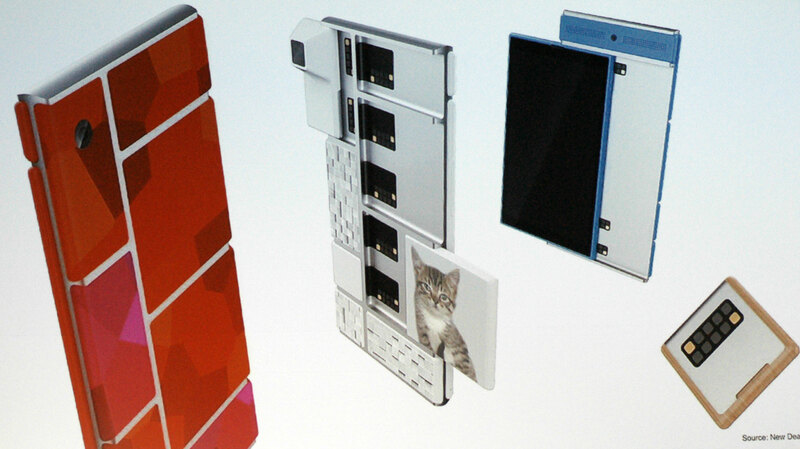 At today’s event, Project Lead Paul Eremenko talked about how the design of the phone was meant to be inviting instead of the boxy feeling associated with modular devices. He also demoed the phone booting up for the first time in public. Well, almost booting up. It got to the Android startup screen and just as it was loading Android proper, it froze. It’s not so much a set back as a learning experience. When you’re moving quickly, you don’t have time to dwell on problems and instead need to work on solutions. The solution to the startup difficulty will most likely be solved when a version of Android with modular support is released in the fall. The support will push the limits of Android. “Ara is a stress test to what Android can do beyond the regular OS,” says Eremenko. The team is also working to reduce the area needed in each module that is occupied by elements need to run the module from 65-70 percent 25 – 30 percent. to If there’s something the smartphone space needs right now it’s a push towards innovation beyond syncing with wearables. 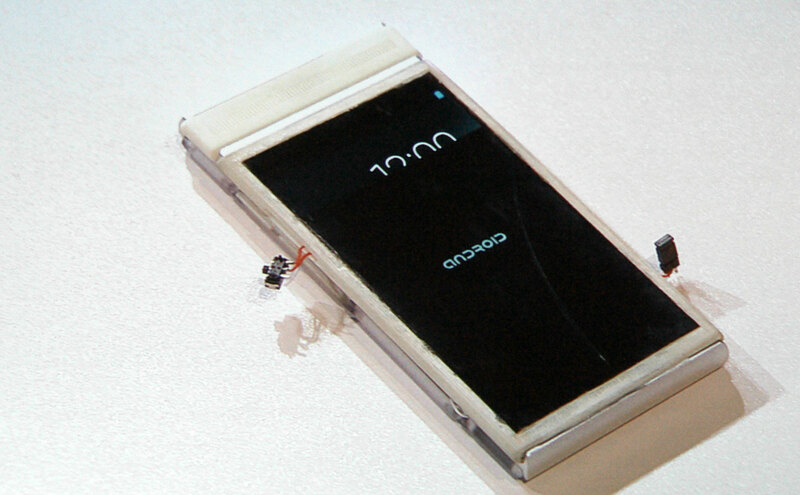 For developers, Eremenko announced Project Ara Developer Prize Challenge to create a module that has a feature that is currently not available on any smartphone. The module does need to actually work when submitted. The grand prize winner and two runner ups will receive all expense paid trips to Ara events. the grand prize winner will also receive $100,000. Entry forms are due September 1 and completed modules are due September 30. The Windy Day animation that shipped on the Moto X was the first project from the Spotlight Stories Project. 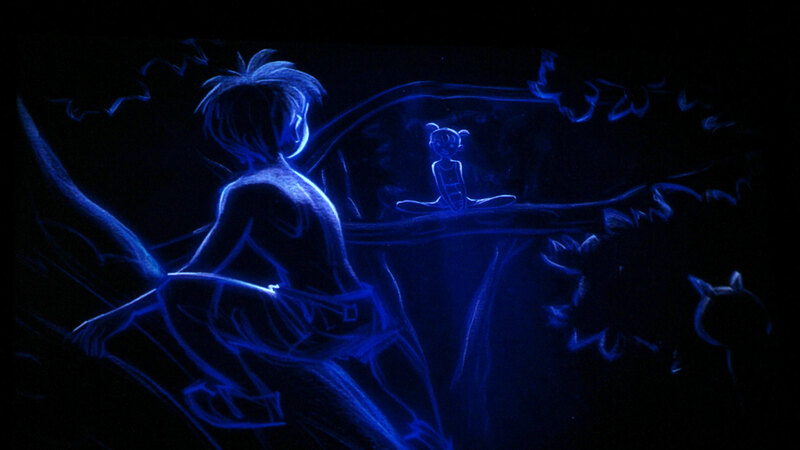 The animation was whimsical and took advantage of the phones motion sensors. As you moved the phone in real space, it presented a window into an animated world. The next projects looks more impressive. 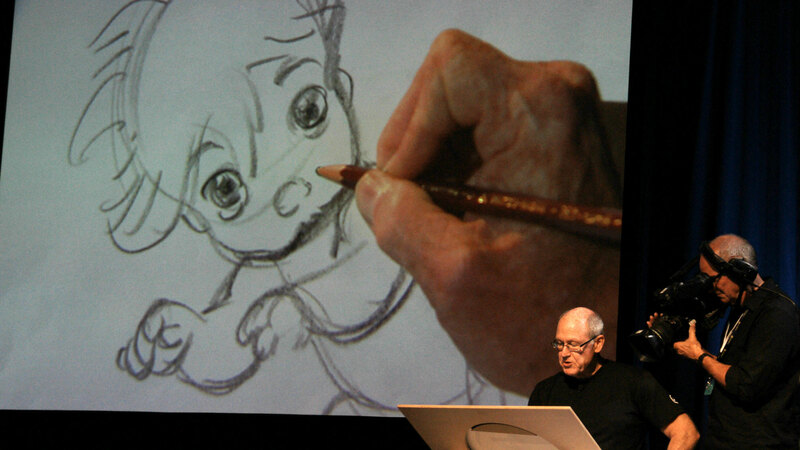 Teaming with Animator and Director Glen Keene–who helped create Disney’s Little Mermaid, the Beast from Beauty and the Beast and Tarzan from the movie of the same name–the next Spotlight Story, The Duet looks magical because it doesn’t look like CG. That’s because Keene hand drew the entire short. The result is looks more organic that anything else in the CG animation world. But, unlike traditional animation that is shown at 24 frames per second, smartphones display at 60 frames per second. Keene says that he found the challenge as a opportunity because he had more frames to create with. All those frames added up to 10,055 original drawings that had to be scanned in and the team used a “graphite stardust” image process that gave every tiny mark it’s own graphic image without making the finished work pixelated. The result looks like a pencil drawing with all the value, tone and white space found in pencil drawings. When Keene was first approached by Dugan to work with the ATAP team he was initially skeptical. But Dugan told him, “Make something beautiful and emotional,’ this is music to the ears of any artist.” he says. A year later, he screened The Duet to us at Google I/O. It looks amazing. The Duet will available in all its interactive glory later this year.